This translation is part of the article The Real-World AI issue. A well known fact if you repeat any word many times, then eventually it will lose all meaning, phonetic will turn into nothing. This is the reason why for many of us the term "artificial intelligence" has long ceased to mean something. AI is now virtually everywhere, from your TV to the tooth cheek, but never has that term means so little. 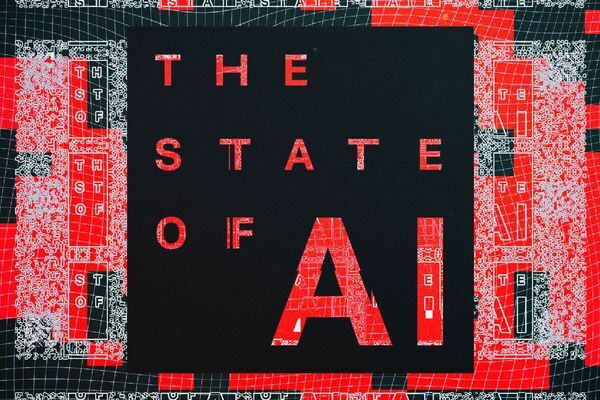 Despite the fact that the term "artificial intelligence", no doubt, applied correctly, the technology associated with it is still developing very actively — and this is both good and bad. Technology penetrates the health care and military Affairs, she helps people to compose musicand write books, she checks your summary and judge your credit worthiness, and also improves pictures taken on mobile phone. In short, technology is changing your life, whether you like it or not. At the same time quite difficult to understand what AI is discussed technology companies and marketers. Take, for example, the toothbrush Oral-B Genius X which, among many other devices, "adding AI" was presented at CES. If you carefully study the press release of the company, it becomes clear that this brush just helps to determine the correct duration of brushing teeth, treating where necessary. Yes, in the brush there are a few "smart" sensors, which provide the functionality of the device, but to call it artificial intelligence is just silly. Even in the case when there is no excessive hype, there is a misunderstanding of the term. For example, coverage of a specific event in the press is accompanied by an illustration with Terminator, and this happens quite often. Sometimes authors are confused about what exactly is artificial intelligence. All this is difficult for someone who is not an expert, so most people define AI as the computer with the consciousness, which is many times smarter than humans. The experts call this hypothetical artificial intelligence is a strong form of AI, but its creation is a matter of the distant future. While we should not exaggerate. What is AI? 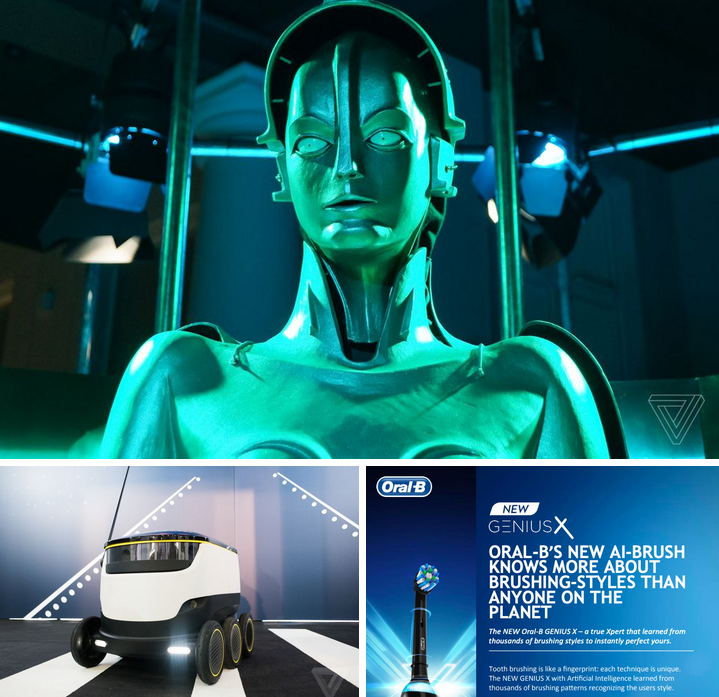 Clockwise from above: a character from the movie Metropolis, toothbrush Oral-B, the Autonomous robot courier. It is much better to call what we have "machine learning" and not AI. This technology has a very strong impact on the world (along with deep learning). These terms mean nothing mystical, as in "artificial intelligence" and they much better describe what constitutes technology. How does machine learning? Over the past few years I have read and watched a lot of explanation. And one of the most useful are the following: machine learning allows computers to learn independently. But what does that mean? Another big question. Let's start with the problem. Let's say you want to create a program that recognizes cats (always cats for some reason). You can try to implement this "old-fashioned" method, setting car rules like "fluffy cats". But what do you get if you show her a picture of a tiger? The development of each rule manually is a long process, and you will need to describe all the nuances that might come to mind. It is best to give the car the opportunity to study the most. So, you give her a huge collection of pictures of cats, and the car already defines patterns independently. The first is the primitive process which then becomes more complicated. In fact, it is so clear. In fact, you have probably already read a similar explanation, and please forgive me for that. But what is important is to understand how it works. What could be the consequences for the training of such a system? The main thing is that you don't need to program it. Yes, of course, there is much to configure, optimize, it is necessary to improve the efficiency of data processing and all that, but you're not telling the machine what to do. And the machine really works, highlighting patterns that people miss. Well, because the machine only works with ones and zeros, there are many areas where you can apply this technology, because the modern world is full of data. Hammer machine learning in hand, you will be able to cope with the many challenges that need to be addressed immediately. But there is and disadvantages, think about them. If you are not able to teach it, how you learn, how she makes decisions? Machine systems are not able to explain your move a specific task. So it may be that the algorithm operates incorrectly. The machine has no awareness of what she does is what we expect from the person. You can make the best machine for the recognition of pictures of cats in the world, but the machine did not tell you that the kittens do not know how to ride a motorcycle, or that cat will likely be called Vaska, and not "Megalord immortal." To teach a computer to learn is great. But AI systems have no intelligence. This is not the mind, not organic mind, and play according to the rules of the people machines are not. You can ask the question "How smart book? What can make smart fried bread?". So at what stage artificial intelligence are we? After all these years with the editorials, which refers to "first big break", the experts believe that we have reached a plateau. However, progress is not a hindrance. With regard to research in the AI field, that is a huge number of possibilities to explore now we are only at the top of algorithmic iceberg. 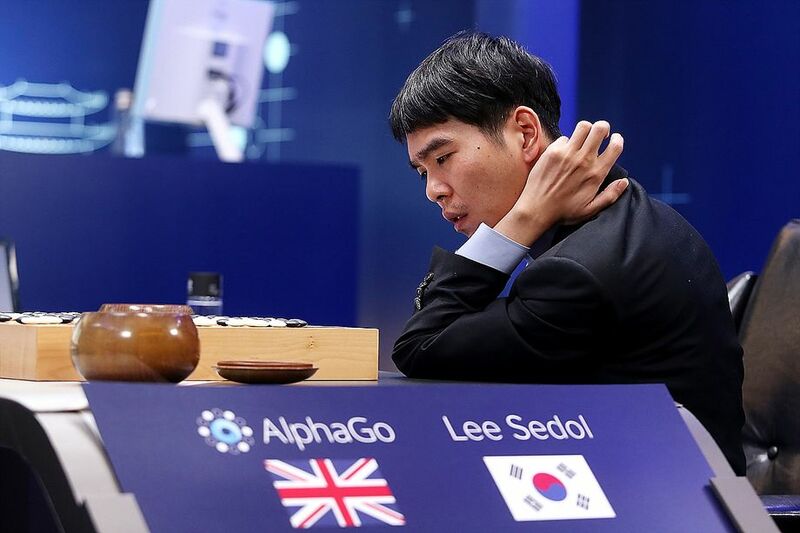 Kai-Fu Lee, venture capitalist and expert on artificial intelligence, describes the current moment as the "age of realization" — when technology begins to get out of the labs into the outside world. Benedict Evans compares machine learning with relational database technology — type enterprise IN which proizvela revolution in whole industries. But now it is routine. Most likely it will happen with machine learning — it is everywhere, and anybody about it will not survive. But all this — the distant future.